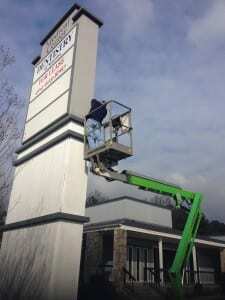 We at United Signs know that sign installation is unique and important. After all, your project is not finished until the sign is up. Below are just a few ways United Signs adds value to the business of sign installation. Firstly we begin with the end in mind. That means that during design and fabrication we keep in mind the finished product and how it will be used. It means that where the sign is going, how it’s going to be installed, and how it will look are in mind throughout the entire signage process since these things will affect the choices that are made at each stage of development. Extensive planning goes a long way toward making the installation successful. At United Signs we have the tools to get the job done. Our fleet of service vehicles and crane trucks ranging from 60’ to 135’ is capable of handling the challenging task of installation. Good equipment means better and faster sign installation. It also means we can assemble the signs in-house in our Gainesville facility and make a smaller impact on the installation site, and assemble a higher-quality sign. Smaller impact on the installation site also translates into lower costs since generally speaking installation costs more than fabrication. 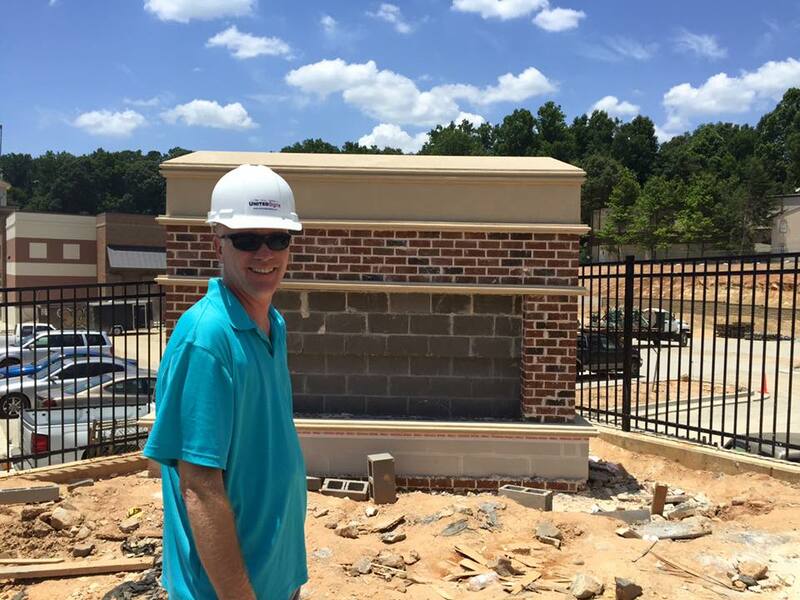 Of course we can’t underestimate the importance of the installers who in our case come from Lawrenceville to Mableton and beyond. It takes great skill to install a sign well, and it also takes having an assortment of skills. It takes construction skill and a good mechanical mind. 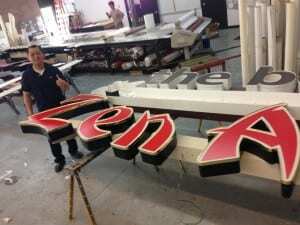 It takes a crew that can think quickly as a sign installation seldom goes exactly as planned. There are physical requirements, licenses, and certifications involved which moreover involve extensive training. In Atlanta, as elsewhere, a highly regulated electrical trade is crucial. And installers need to be tough. Burning heat or freezing cold, they must endure this gracefully to perform a top-quality installation. 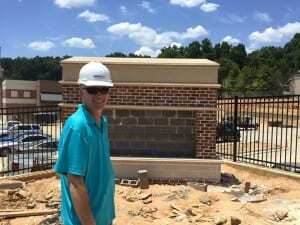 Our jobs are done well beyond the confines of Peachtree Corners, so we can say our crew is gainfully employed, which makes for a happy crew, and a happy installer makes a good installer. UNITED SIGNS is Georgia’s Premier Full Service Architectural Sign Company. 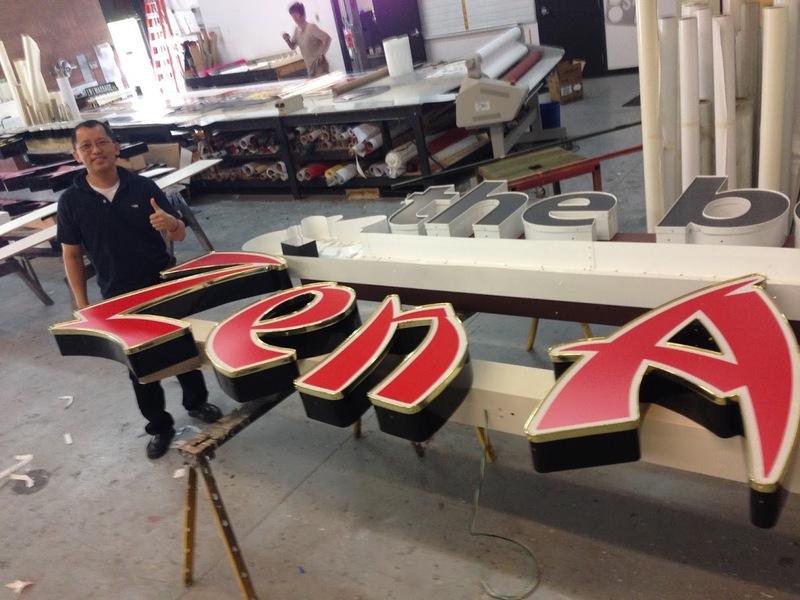 We provide custom sign designs, in-house sign fabrication, and installation of every type of sign. We service all of Metro Atlanta, and many other Georgia communities. We have designed & fabricated signs nationwide from New York to California for national chains, franchise & major corporations.